It’s April and the bulbs we planted in early November are starting to make their way through the semi frozen ground. 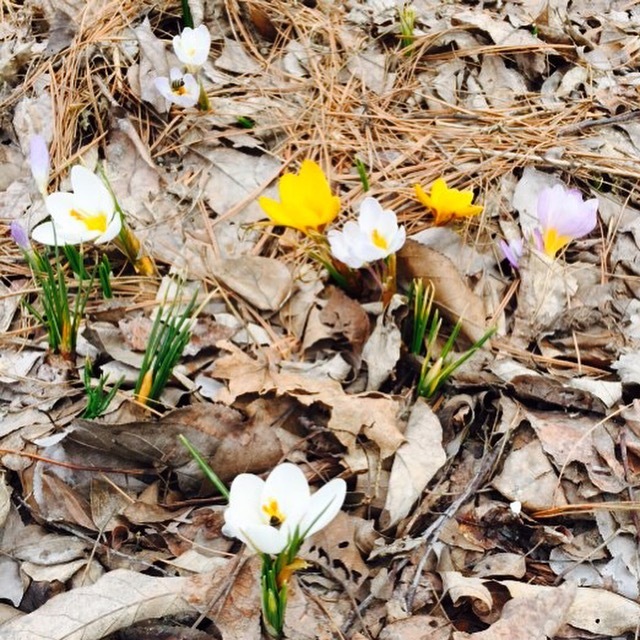 The first bulbs to bloom are the Crocuses in vibrant yellow, violet and white. We planted over 300 bulbs in mid-fall, and are excited to see what blooms next.